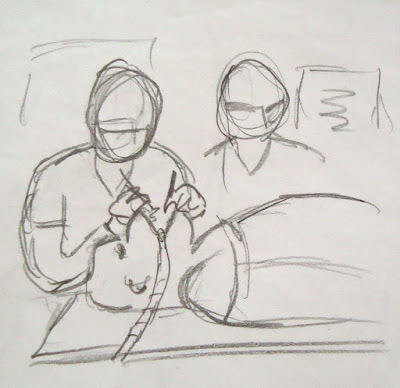 Rough illustration sketches on my drawing board for "What Do Vets Do?" by Emma Juhasz. I am in the process of illustrating a book about vets for children six-years-old upwards. 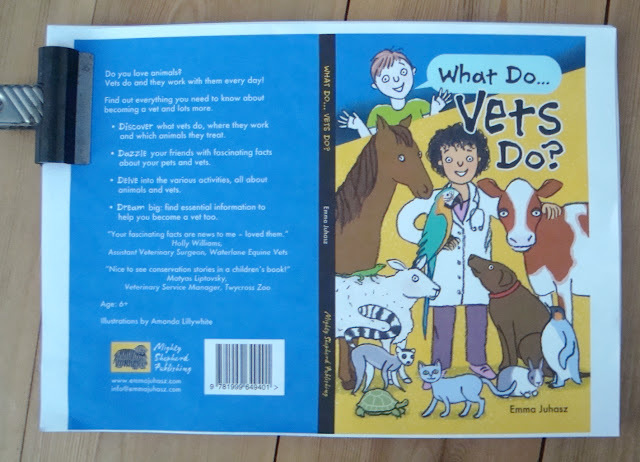 The book will have 48 pages of: information about the kinds of vets there are and the equipment they use; interesting facts about animals; information about how to become a vet in the UK and some activities. It was written by Emma Juhasz and will be published by Mighty Shepherd Publishing. I will be updating this post as the book progresses, it will be published in June. 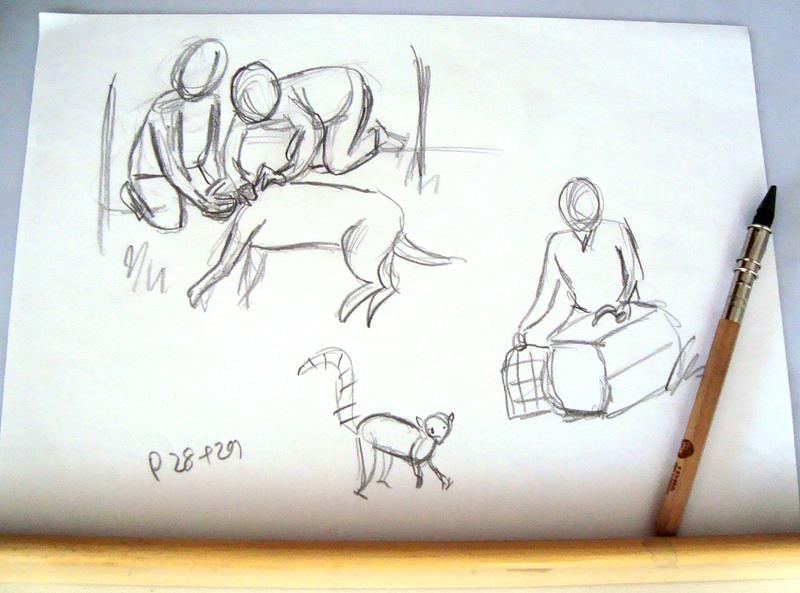 In the meantime here are some more rough sketches. 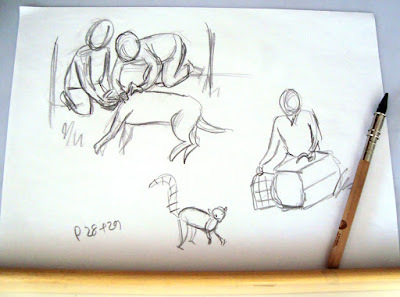 Illustration roughs of rabbits for "What Do Vets Do?" by Emma Juhasz. I have learnt a lot while working on "What Do Vets Do?" including the fact that elephants can swim! 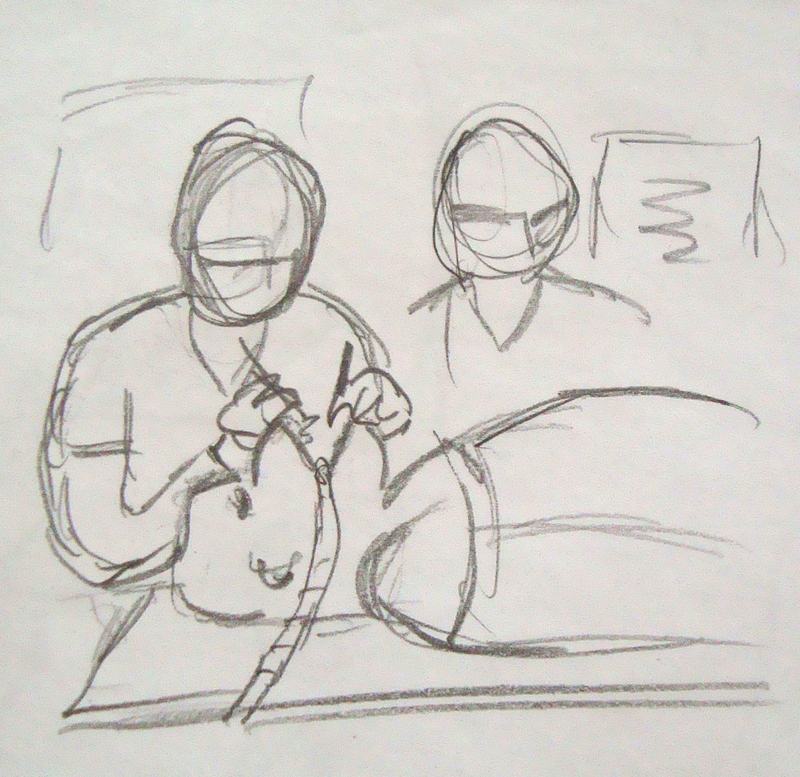 A rough sketch of a gorilla having a tooth filled under anaesthesia. Update: after completing all the roughs, and having them approved by Emma, I created the illustrations and put them into pages. If you look carefully you will see a mistake! It has now been corrected. 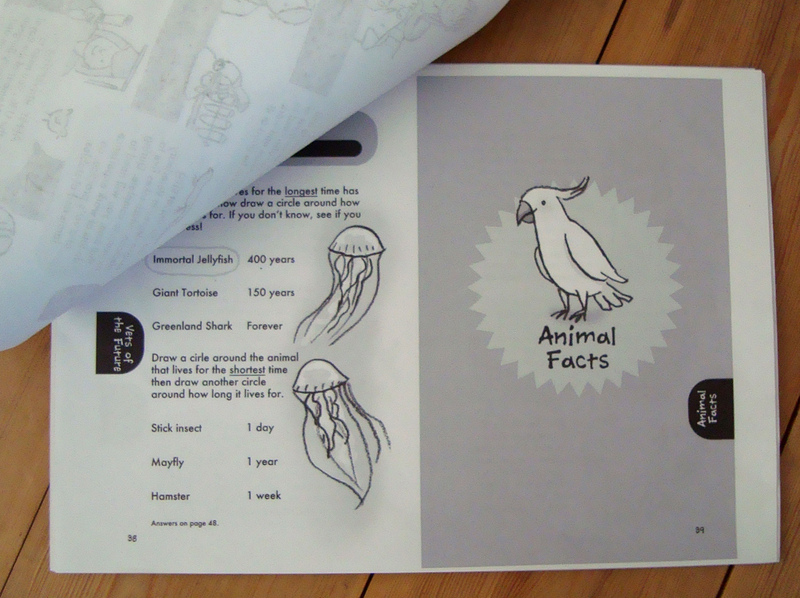 All the illustrations have been done now, put into pages, checked and rechecked and artwork sent to the printer. My print out of the front cover. Very soon a printed proof copy of the book will arrive and will be checked for mistakes then the book will be published and available to buy. If you'd like to know more about What Do Vets Do? contact Emma Juhasz. What Do Vets Do? is published by Mighty Shepherd and printed by Comic Printing UK. I was very excited when I received the proof copy of Friends. Around the middle of last year I started work on a commission from The Neuro Foundation to write and illustrate three stories for children with Neurofibromatosis. The Neuro Foundation support people with the condition, you can find out more about it and the work they do on their website www.nfauk.org. I was told that the stories would be published together in a book and should feature characters with Neurofibromatosis. 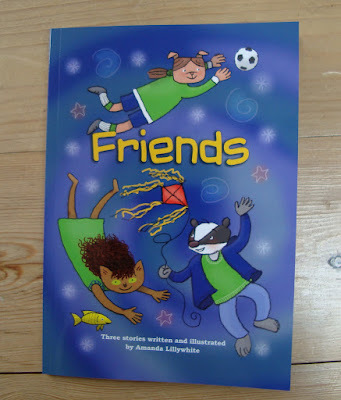 The Neuro Foundation wanted the stories to be fun and life affirming while tackling issues that children might experience such as bullying, making new friends and medical check-ups. The charity arranged for me to meet children with Neurofibromatosis along with their parents. This is a condition that doesn't fully reveal the extent of how it will affect an individual until adulthood and is unpredictable so understandably there are many concerns about the future. 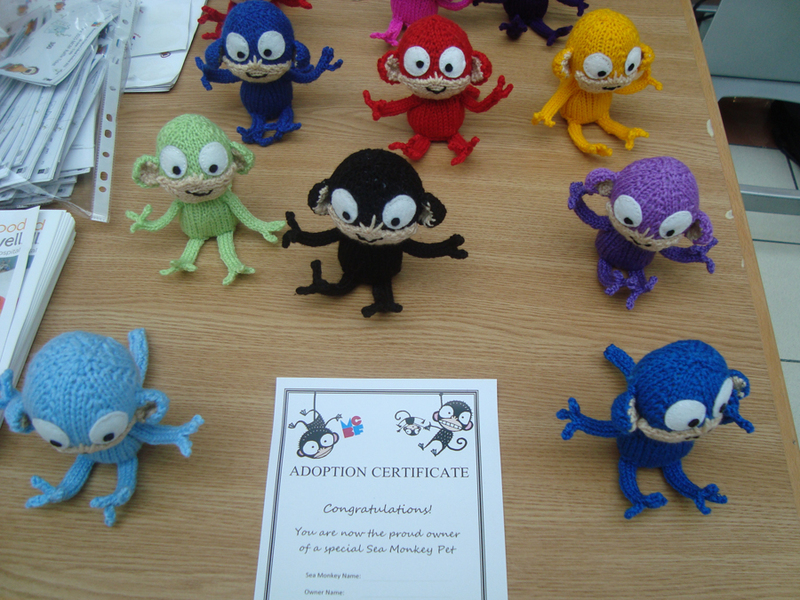 The children were lovely, knowledgeable about Neurofibromatosis and able to talk about it openly. Talking to them was inspirational in many ways. I also met a specialist, Carolyn Smyth, and through talking to her got an insight into what happens at check-ups. Plus she gave me further insights into what it is like to live with the condition. After digesting all this I came up with some character ideas. The drawings below are the first I did of Bernie, the main character in Rovertown Dynamos vs. Mogford Juniors. 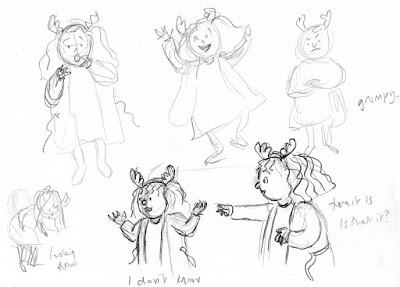 Early character drawings of Bernie. Following on from that came rough drafts of the stories. This developed into rough layouts which were edited over and over again with the help of The Neuro Foundation and my partner, Mark Panton. 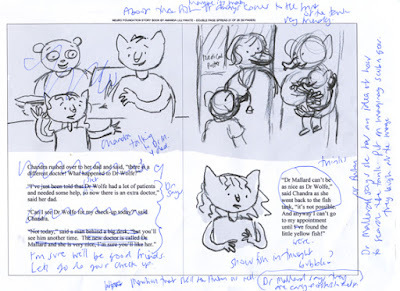 An edited layout for The Missing Fish. Around two months ago I started on the final artwork using a template supplied to me by Comic Printing UK. The book was to be perfect bound and the template helped me avoid losing important illustration details in the gutter. Comic Printing UK have a lot of artwork advice on their website - if you are working on a book I recommend having a read and if you are looking for a printer I recommend them for that as well. 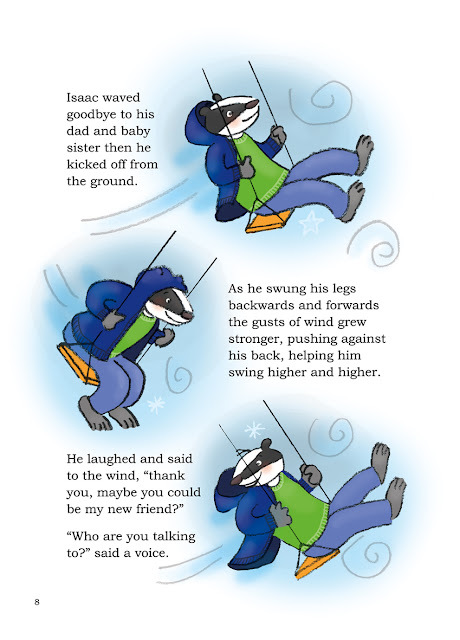 A page from The Windiest Playground in the World. Copies of the book were delivered to The Neuro Foundation today and it is now available on their website. It is A5, fully illustrated in colour and has 52 pages including the cover. 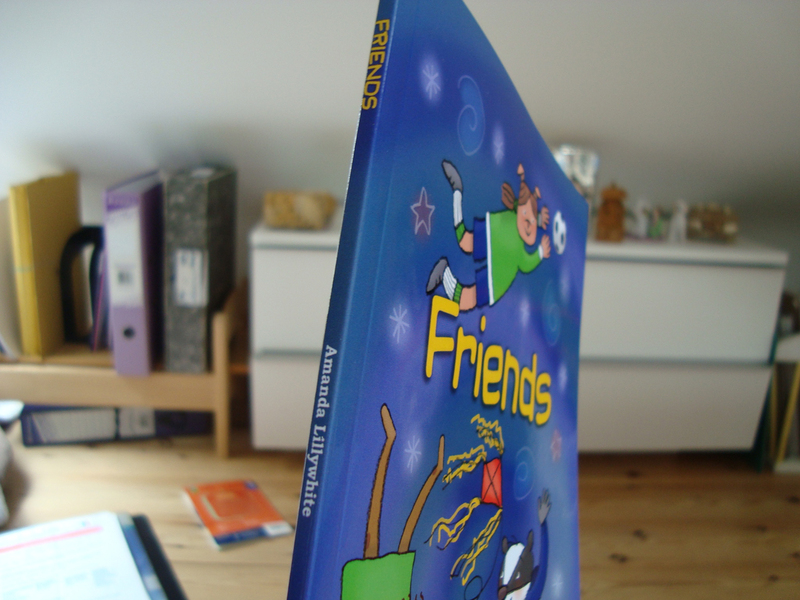 The proof copy of Friends. I will be picking up my copies of the book tomorrow. 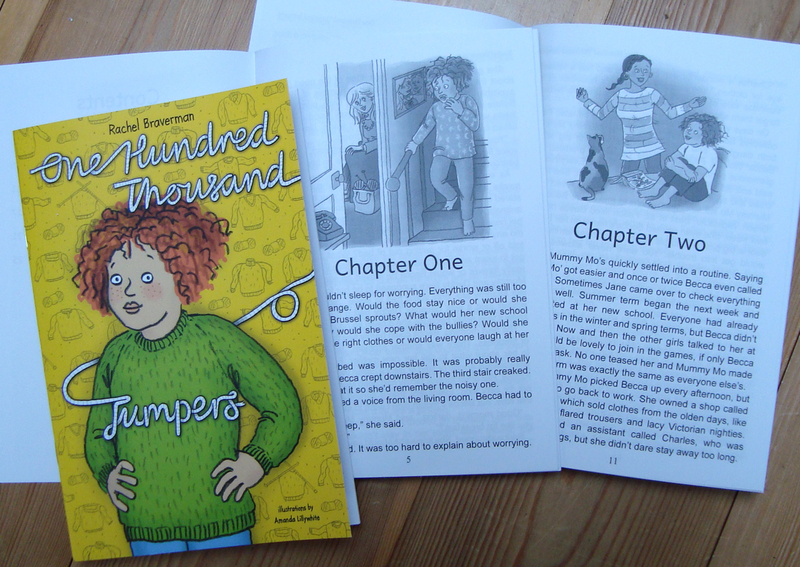 One Hundred Thousand Jumpers: written by Rachel Braverman and designed by Erik Christopher. Front cover typography, and all illustrations by Amanda Lillywhite. 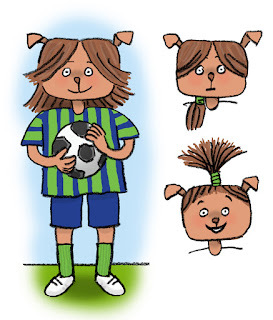 A book for children about an adopted girl. When Rachel Braverman told me that she was looking for an illustrator for her story about an adopted girl I was immediately interested, especially when she said it was based on the real experience of adoption. I have an adopted daughter who came to live with us at 27 months old (she is now 14) so I am aware of the unique challenges that many adopted children face and I know that it is hard to find books that show the difficulties and joys of their experiences in an easy to read format*. When I read the story I was impressed, Rachel has explored the fears of a newly adopted child but it is an uplifting read. Becca (that's her on the cover) has just arrived at her adoptive home. She immediately builds a rapport with her ready-made older sister, Fallon, and the family cat, Oscar. However her relationship with her new mother, Mummy Mo, is more difficult. The story is about how Becca learns to trust that this will be her forever family. It's also about knitted jumpers, Mummy Mo is a keen knitter, hence the title. One Hundred Thousand Jumpers was designed by Erik Christopher. It is available in Kindle and print versions on Amazon. If you have any comments or questions about the book please feel free to contact me via this blog, Facebook or Twitter. *I am aware of the Tracey Beaker stories of course and I think they are brilliant but they are a bit too long and complex for some readers. This book has twenty four story pages split into five chapters and each chapter has an illustration. 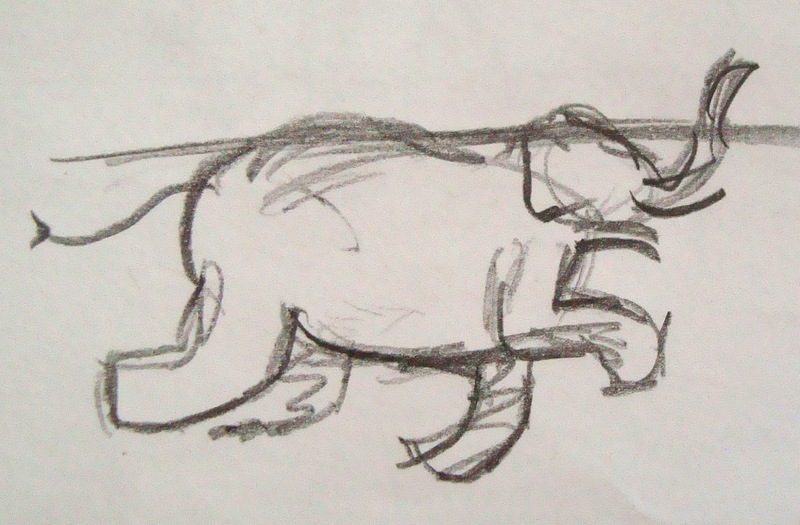 I use my own drawings as examples in the workshops. Here is some character development work for 'Rosie'. I haven't posted on this blog recently because I've been busy developing and delivering comic making workshops for children. 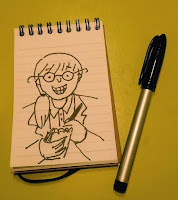 Tomorrow I'll be leading the first of six one hour Comics Club workshops for 9-12 year olds at Carnegie Library in London SE24, it's fully booked and there is already a waiting list for the next time I run it - I'll post with more information about this soon but it won't be until next year. 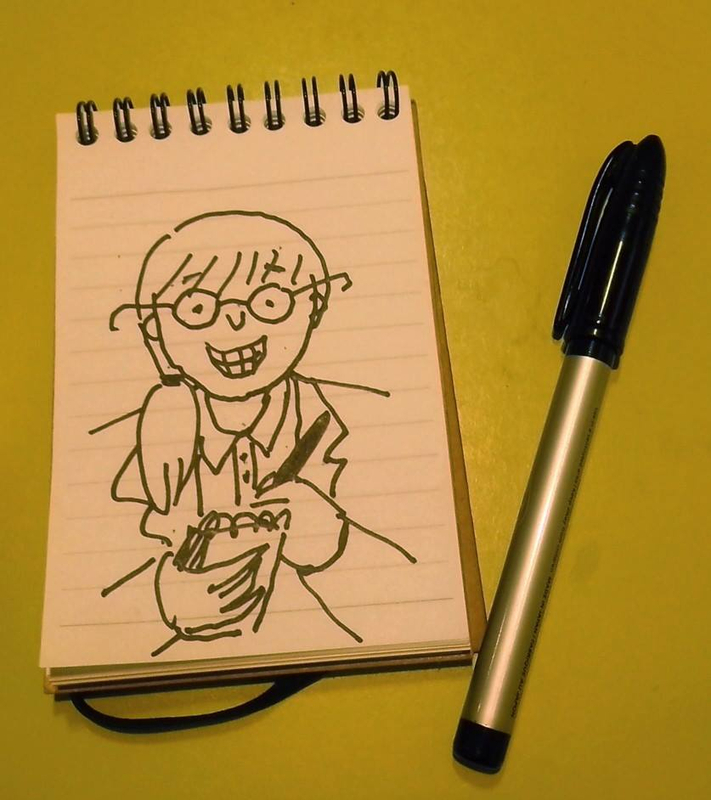 There are still places available on my Make your own comic! workshop for 9-13 year olds on October 27 in Notting Hill, London. It runs from 1.30 to 4.30pm and numbers are limited - book in advance on the Chelsea Young Writers website. More information about this workshop is on my main website www.crazypanda.com. I'll be taking the children through the basics of creating characters, a synopsis, a script and their own comic. It's great fun to work with children on comics and I've been delighted by their enthusiasm for this form of telling stories. So nice to spend time with people who love comics as much as I do! 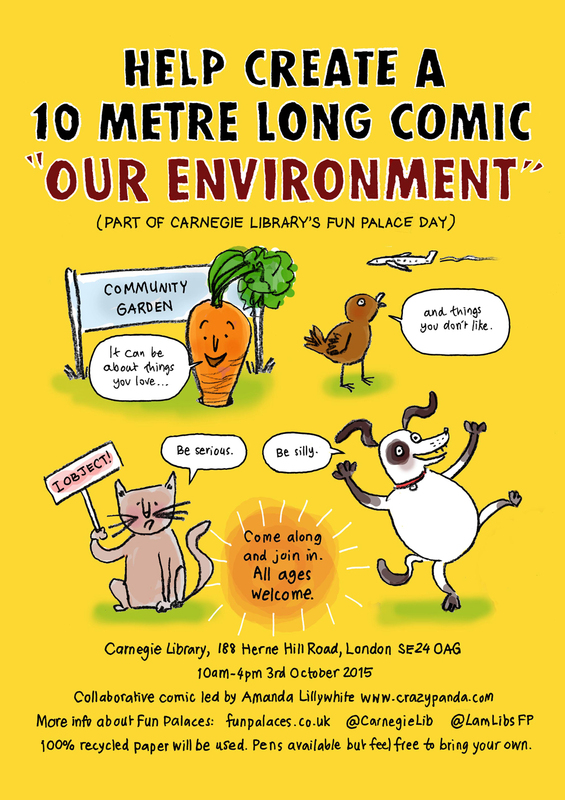 I've not been blogging much lately because I've been putting together some new comic making workshops and events that will take place at Carnegie Library, 188 Herne Hill Road, London SE24 0AG. First up is a 10 metre long collaborative comic "our environment" 10am-4pm on October 3. Anyone of any age is welcome to come along and draw or write on my roll of 100% recycled paper, no need to book just turn up. There will be lots of other activities going on in the library at the same time such as yoga and pasta making and I'm told there will be fire engines as well though I assume they'll be outside. This is a Fun Palace event and it should be quite a day. As the comic progresses I will be tweeting snaps of it at @ajlillywhite. 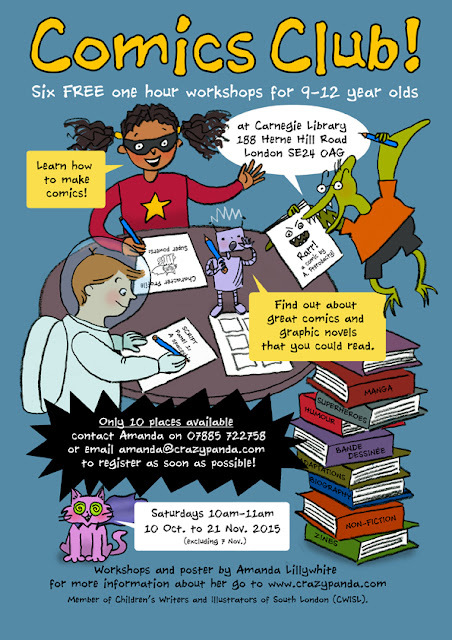 Starting the following saturday, 10th October, I will be running 6 comic making workshops for 9-12 year olds. It's almost fully booked, only one place left, so get in touch quickly if you know someone who might like to come along. My email address is written on the poster below or you can contact me via the links or contact form on this blog. There are more comics workshops and events coming up after that but I'll blog about them another time. Earlier on this year I joined CWISL, a group of published writers and illustrators who live in the south London area. I took part in CWISL's ShoutSouth! Festival for south London schools in June and we are currently planning a ShoutWest! Festival for west London schools in November. It's an interesting and diverse group that produce books for children of all ages from babies up to young adult in a range of genres. I recently took over the CWISL newsletter and the experience of putting an issue together was a fascinating insight into the range of activities and events the group is involved in. The perfect job for someone as curious as me! You can read the latest CWISL newsletter here and you can sign up for an email subscription here. I travelled up to Manchester on the opening day of the Manchester Children's Book Festival to see the Society of Children's Book Writers and Illustrators (SCBWI) panel event and it was well worth the trip. Below is a round up of a few quotes from my notes. 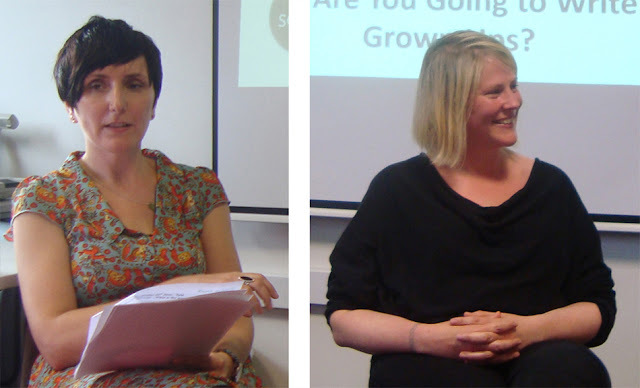 The panel event will be written up in more detail by SCBWI member Jo Dearden to appear on the Words and Pictures blog very soon. Marie Basting had some interesting questions for Julia Churchill, Kate Pankhurst and Jon Mayhew such as "Do we need these books? Are they trivial?" and one that drew boos from the audience "Do we need more issue books and not waste time with adventure stories?". Julia Churchill said she places no value judgement on books “any book is a good thing” and there should be “a book for every child”. On how she selects books herself she said she looks to be transported - whether it is a story for adults or for kids. Kate Pankhurst said she feels that it is important to talk about children's books at a time of library closures and when space for reading in schools being squashed. She added that there is a need to spread the word about the worth of creating books for children. She believes that the books you read as a child contribute to who you become as an adult – you take something from every book you read. Jon Mayhew is often asked “have you thought of writing a book for adults” he said he has ideas for books for adults but they don’t call out to him as much as his story ideas for children. He said we should “never underestimate children as an audience”. As mentioned before this is just a brief taste of what was said at the event, there is more to come on SCBWI's Words and Pictures blog. for her "Tallulah" and it seems to have developed a taste for plastic fried eggs. 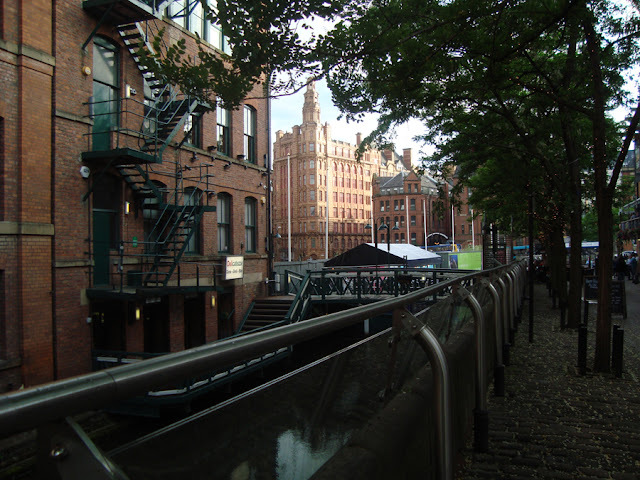 Beautiful Mancunian red brick architecture photographed on the way back to the train station. 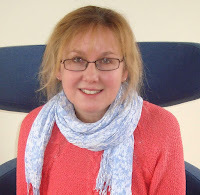 Without Exception – Advice on equality, diversity and inclusion issues in children's books.